Mike Neary and I have a new journal article out in the Open Library of the Humanities. It is a longer companion piece to our article in LATISS. The research was funded by the Independent Social Research Foundation. Universities in the UK are increasingly adopting corporate governance structures, a consumerist model of teaching and learning, and have the most expensive tuition fees in the world (McGettigan, 2013; OECD, 2015). This paper discusses collaborative research that aimed to develop and define a conceptual framework of knowledge production grounded in co-operative values and principles. The main findings are outlined relating to the key themes of our research: knowledge, democracy, bureaucracy, livelihood, and solidarity. 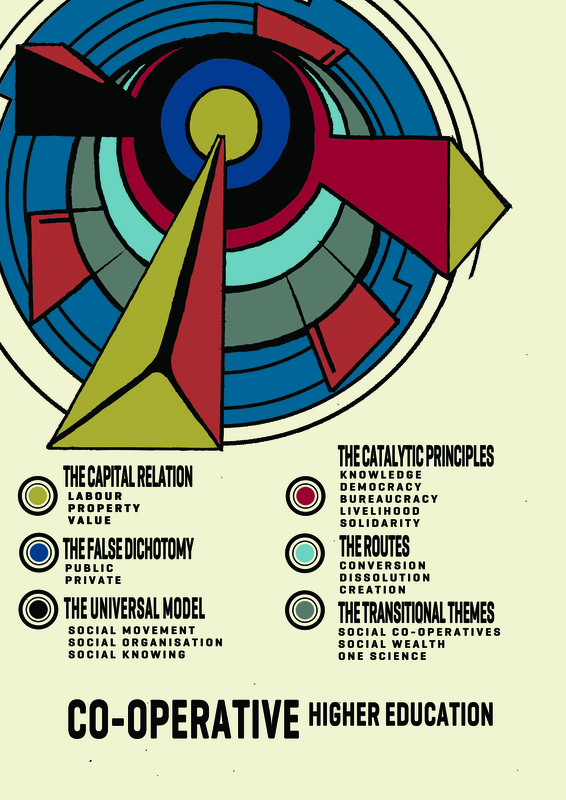 We consider how these five ‘catalytic principles’ relate to three identified routes to co-operative higher education (conversion, dissolution, or creation) and argue that such work must be grounded in an adequate critique of labour and property i.e. the capital relation. We identify both the possible opportunities that the latest higher education reform in the UK affords the co-operative movement as well as the issues that arise from a more marketised and financialised approach to the production of knowledge (HEFCE, 2015). Finally, we suggest ways that the co-operative movement might respond with democratic alternatives that go beyond the distinction of public and private education. Read the article online or download from OLH.